Jetting off into the great unknown? 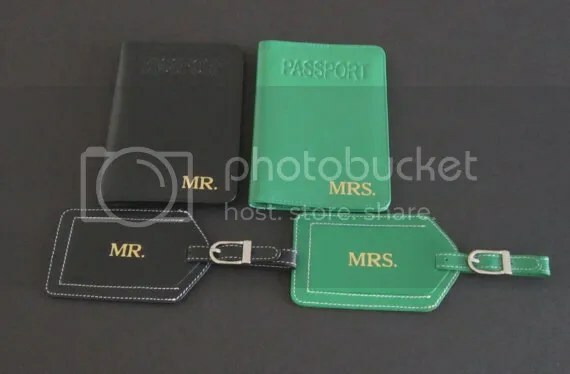 Keep your travel documents safe with these personalized passport covers and travel organizers, handmade with extreme skill and care, and also ready to send off as gifts for your friends and loved ones. 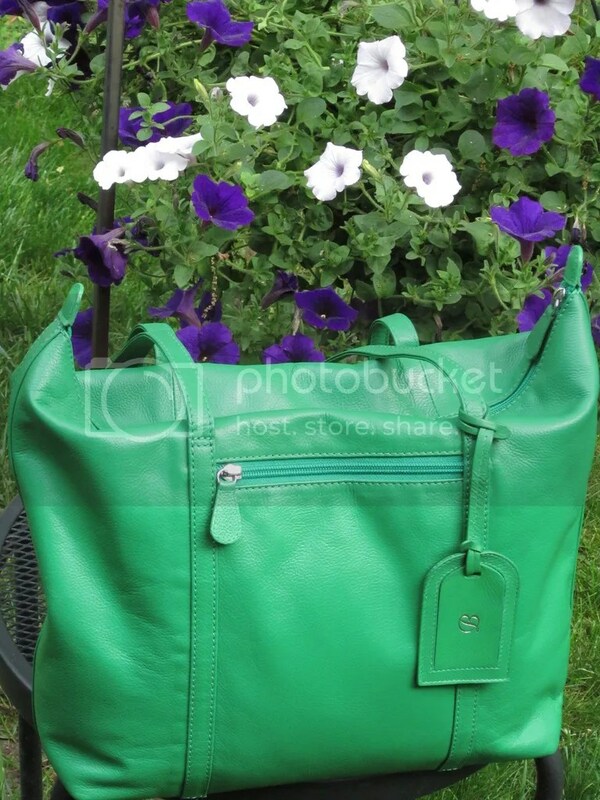 On our feature list today: (i) Red Leaf Leather and (ii) Bin’s Creations. What: Custom leather products that are completely handmade and crafted to ensure you’re purchasing the most personalized and customized leather around. 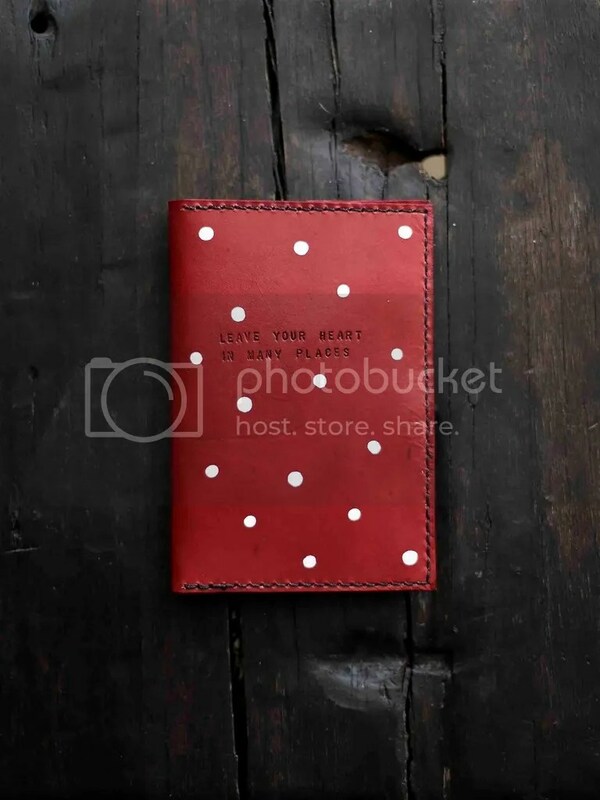 What we love: Custom leather passport covers, especially ’em bright spotty ones! 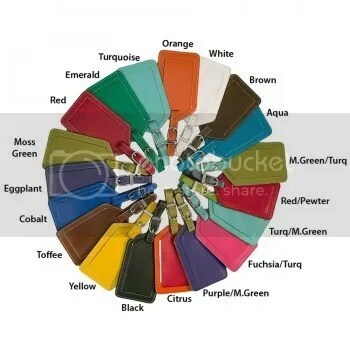 The Red Leaf Leather experience adds an element of fun to online shopping with a colour chart for picking out your desired colour. 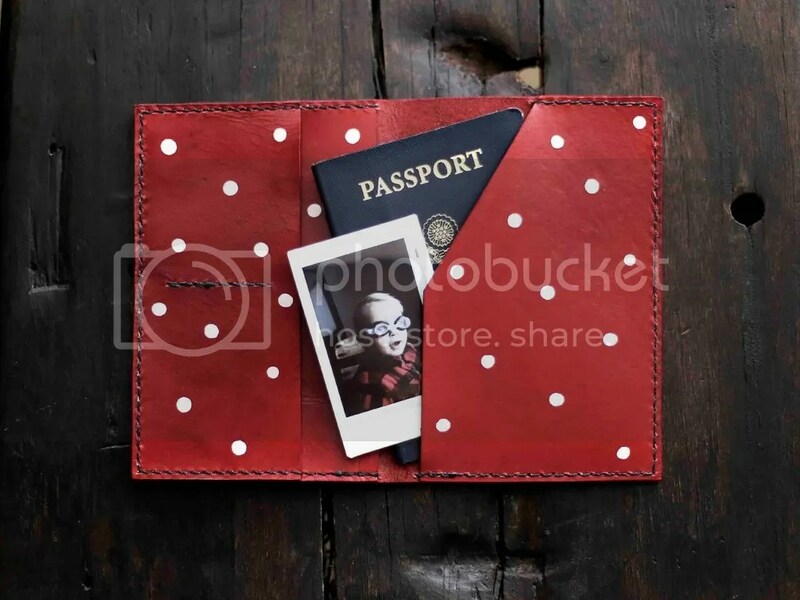 Essentially you can customise every single product from handmade wallets to passport covers, which makes travelling oh-so-exciting when you’re off to your next big adventure with a brand-new passport skin! 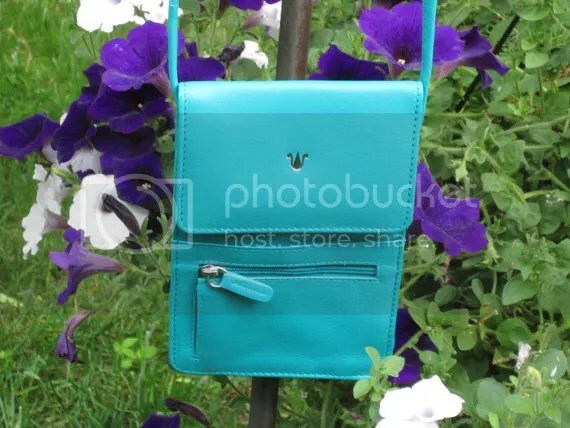 The products are shipped internationally from Utah, United States. Oh, and the owners also do frequent giveaways on their Facebook Page so do keep your eyes peeled! When I was first thinking of starting a business making leather products I thought Etsy would be a great place to start selling my products because it has a great audience and people go on knowing what they’re looking for and what they want so I didn’t have to invest in building a website, doing SEO, etc. It’s a great way to start up a business! After moving back to Utah from South Carolina I didn’t have a job lined up, and then my dad, who is a chiropractor, had 2 employees quit so he said he needed my help. I had worked for him for about 5 years previously so I was planning on just working until they hired 2 new people and I would train them, then I could quit and do my own thing. The time came and went and before I knew it I wasn’t working for him and none of the jobs I had applied for had called me to interview! Over the next 6 months I applied for hundreds of jobs and only had a few interviews, which turned into nothing more than that. I knew I preferred not to have a “normal” job as I call it, a normal 9-5 job where you punch in, punch out, and at the end of the day don’t feel satisfied with what you accomplished. I wanted to be my own boss, set my own hours, create my own work environment, and do something I looked forward to each morning! What that was I had absolutely no idea, but I knew I wanted it! So I decided I could either continue looking for a “normal” job or I could find something that I could turn into a business for myself. One night my sister took me to see The Secret Life of Walter Mitty and in the movie he receives a gift – a custom wallet with a quote on the inside. I thought how cool that would be, to be able to give such a personal gift to someone you care for and I thought “I could make those!” I had no previous knowledge in leather work and literally knew nothing about leather, except that it came from cows 🙂 I headed to my local leather store (didn’t know those existed until after I decided to make wallets!) and asked what I needed to make a wallet. I purchased the recommended supplies, went home and watched several YouTube videos so I could know how to stamp the text into the leather, dye the leather, stitch the leather, etc. And 2 weeks from when I had the idea I opened up my Etsy shop! The biggest challenge, for my shop specifically, is that there are hundreds and hundreds of leather wallets on Etsy! How in the world were my amateur wallets going to stand out against all these other professional wallet makers? I think I was just kind of lucky, to be honest. 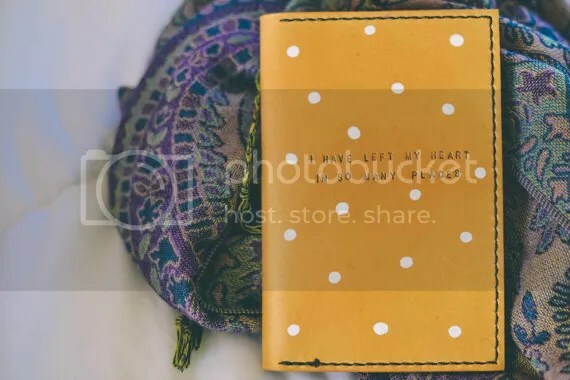 I looked into the most popular wallets sold on Etsy and I noticed that most of them either didn’t provide any option for customization, or the customer could customize, but only up to 5 characters or so. I think the thing that really makes my products stick out from the crowd is that they are completely customizable! You can put your own personal message, your favorite quote, initials, or you can leave it raw. It’s completely up to you what you want to put on there and I think that is really unique! Visit her ETSY store for more details on ordering! 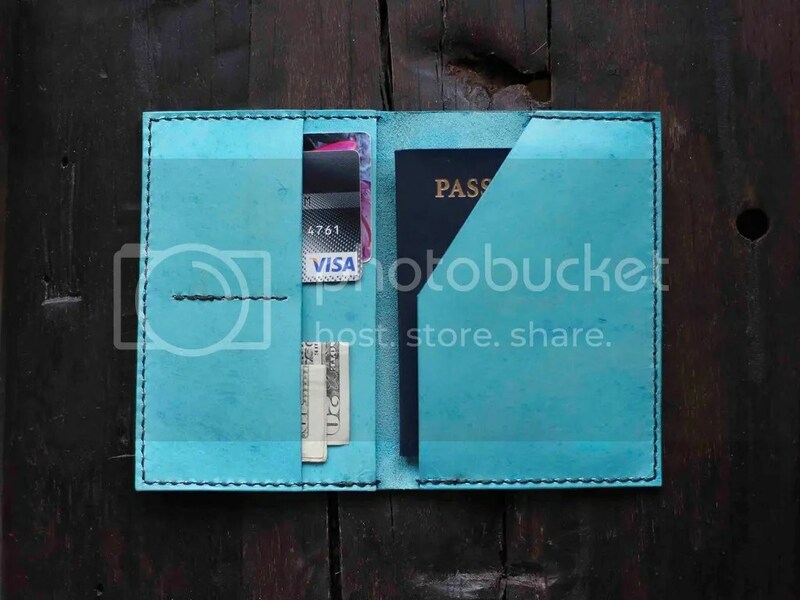 What we love: Custom leather passport covers! Chock-full of ideas at Bin’s Creations. 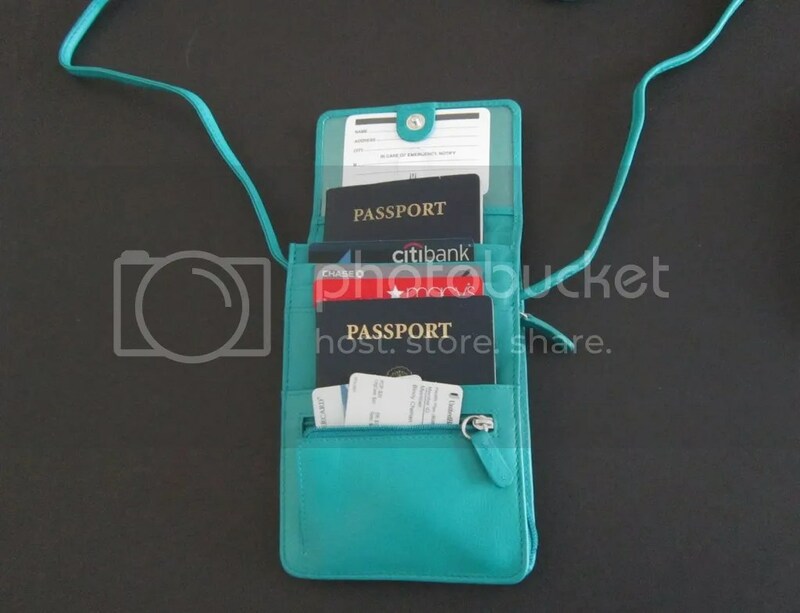 With travel organizers like these, you’re never going to lose any of your travel documents again. 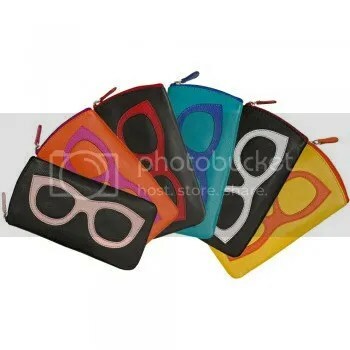 Keep them tidy in these neat little pouches! I have mentioned the reasons abvoe. Definitely an interest, would like to expand and be successful. I am still learning about Etsy. I opened a Jewelry shop in 2011 with Etsy and I was not selling that much and was getting disappointed. Not having any ideas to sell online was an obstacle to my success. Having a contact person for advice would be very beneficial for the Vendors. Finally I Started to read about the sellers handbook and learned few ideas about how to improve the traffic to my shop. I am the sole Owner of this business and working full time at the same time. Most of the items are created at my spare times. I enjoy doing this and hopefully I can give up my full time job and run my business full time. (That’s my dream). Bin’s Creations offering custom design gifts and party favors for any occasions. 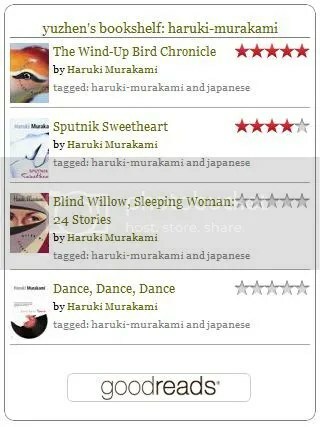 Please contact the owner and create something unique just for you. Definitely looking out for this one here. Check out her website for more information!